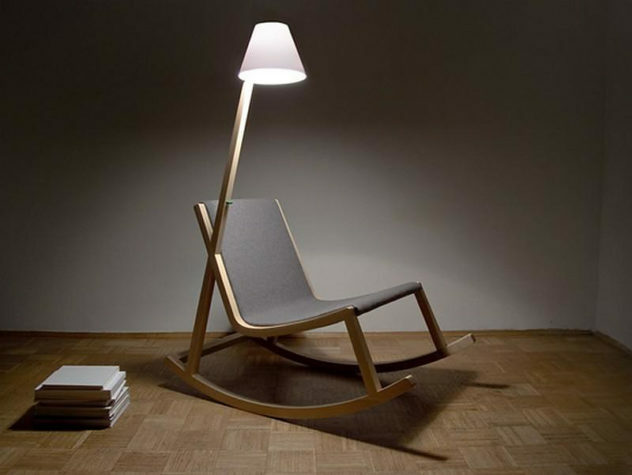 The Murakami Rocking Chair, designed by Rochus Jacob, generates electricity while you rock! 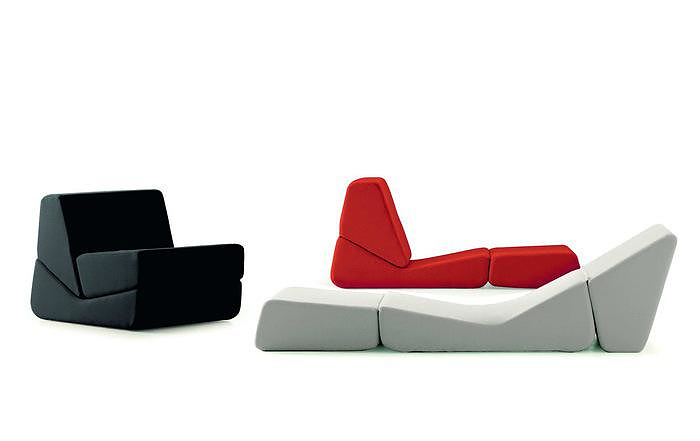 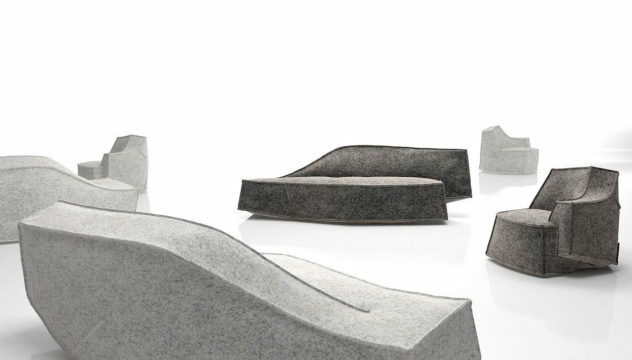 The Airberg sofa set is a unique creation by Jean Marie Massaud for OFFECCT whose form was inspired by the natural formations of icebergs. 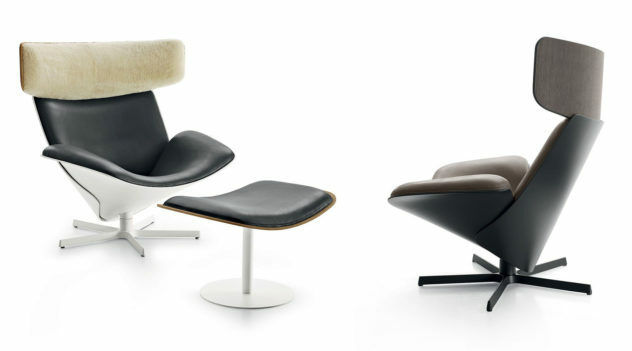 The minimalist Gaivota Rocking chair is the emblematic creation of Renaud Bonzon, and probably the most celebrated piece of furniture in Brazil. 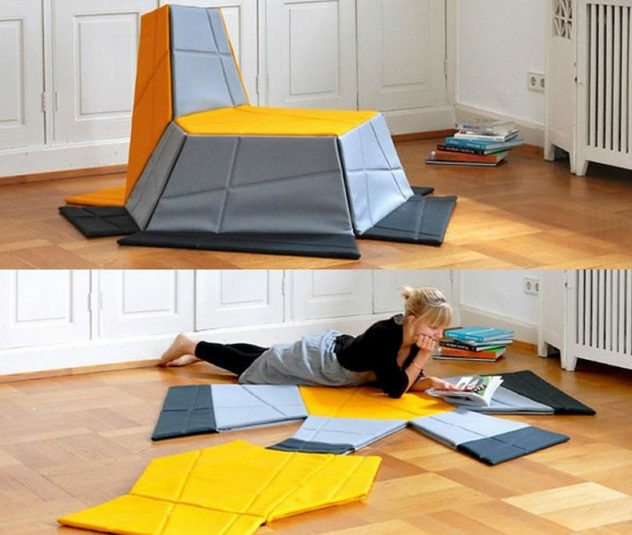 The Yona Armchair by KIESER SPATH Studio is a stylish armchair with a unique property, it can be transformed into a stunning flower-shaped carpet. 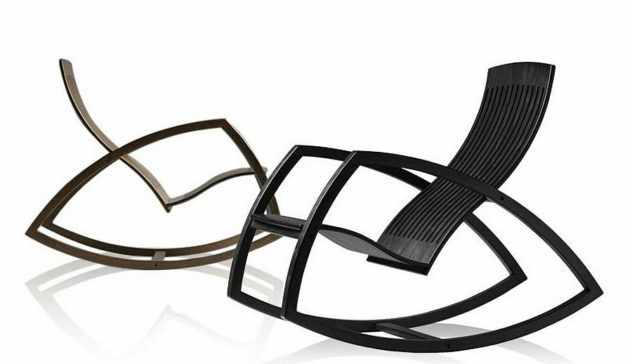 The Gufram Jolly Roger chair is another little bit of rock n’ roll design provocation from Fabio Novembre. 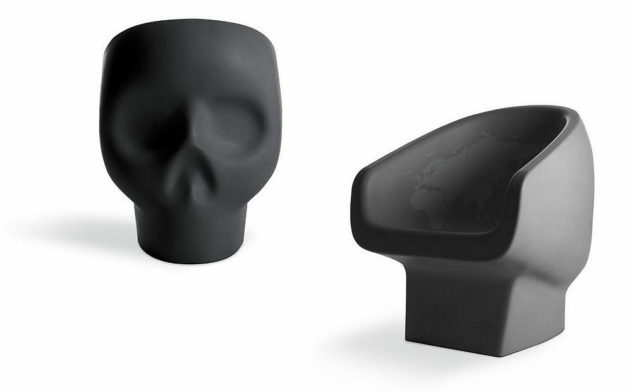 A seriously cult skull shaped chair.